Headaches... What Is The Spinal Link? Headaches are so common that we rarely question their cause or origin. In the case of headaches, it can be something as simple as jet lag to something truly ominous, such as a brain tumor. In chiropractic, we look at this problem differently from what you see in a drug ad. First, you need to have a diagnosis and determine the cause for your head pain. Once the cause is determined, then truly corrective action can take place. 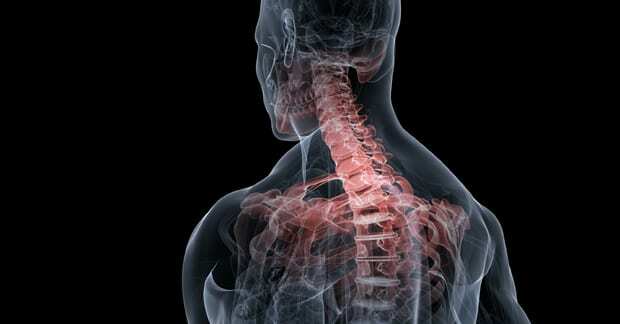 We pay special attention to how your spine moves and its posture, especially the neck region. Many different research studies have shown that spinal sprains and injuries can produce head pain. Randomized clinical trials have shown that when these spinal problems are addressed with adjustments, the headaches largely disappear and do so without the side effects commonly seen with prescription medications. But, every case is different. It’s impossible to know without an examination if you have a spinal problem and whether this is the cause for your headache. If you are not getting your headaches under control and the seemingly endless consumption of pills is not doing the trick, then why not take a different and more natural approach to your health? There is no headache bone in your spine or a button the chiropractor can push to make the headache go away. We generally find that once the spinal posture and motion is improved, the headaches go away on their own. It can take one visit or several, but patients generally see improvements in a short period time.